In the realm of the piano trio the bar is set high, and creative bassist Gary Peacock has helped raise it in the groups of Paul Bley, Bill Evans, and Keith Jarrett, as well as his own bands. Now This is an album with the bassist’s current trio. Powerful new versions of some Peacock classics are interspersed with recent compositions. Marc Copland and Joey Baron each contribute a tune apiece, and the group also tackles Scott La Faro’s ‘Gloria’s Step’. In this band, roles are very evenly shared, and this is an optimum context in which to appreciate the melodic invention of Peacock’s bass playing. Marc Copland always honours the needs of the compositions while bringing his harmonic imagination into play on the solo stretches, and Joey Baron supplies both drive and sensitive detail “stressing exuberance, propulsion, and colour in just the right measure” as the Ottawa Citizen noted in a review of the trio in concert. Now This, issued in time for Gary Peacock’s 80th birthday on May 12th, sums up some of the qualities that have made the bassist an important figure in creative music. It is also Peacock’s 40th appearance on ECM. Born 1935 in Burley, Idaho, Peacock heard classical music as a child, embraced jazz at 15 and studied drums, vibraphone and piano along with music theory at Westlake College of Music in Los Angeles. He switched to bass in 1956 while stationed with the US Army in Germany, substituting for a departing player in the combo of future Ramsey Lewis drummer Red Holt. “Without any teachers I just sort of figured it out,” Peacock told Chronogram magazine recently. “Hunting and pecking for the notes, I became a bass player by default. The way that all happened was a great and pronounced introduction to uncertainty, which has really been invaluable.” Deep listening has been the key to Peacock’s playing. As the cool jazz era gave way to freer tendencies, Peacock was in the forefront of the players shaping a new role for the bass, developing a lyrical solo style emphasizing dynamics, texture and timbre as well as harmonic movement. In early interviews Gary Peacock spoke of the bass’s “two worlds”, the instrument’s capacity to enter the range of horns and piano at the top end and its power to change and charge the music at the bottom end, not least rhythmically. At the beginning of the 1960s Peacock commuted between extremes of free playing: from quietly exploratory music with Paul Bley and Paul Motian and ecstatic fire music with Albert Ayler and Sonny Murray. Common to both was Peacock’s commitment to the context. Gary Peacock has brought a number of enduring pieces into the new jazz repertory. ‘Moor’, for instance has long been an ECM favourite. It was heard on Paul Bley with Gary Peacock, the third album released by ECM in 1970, and re-evoked on Voice from the Past (with Tomasz Stanko and Jan Garbarek) in 1981 and on A Closer View with Ralph Towner in 1995. 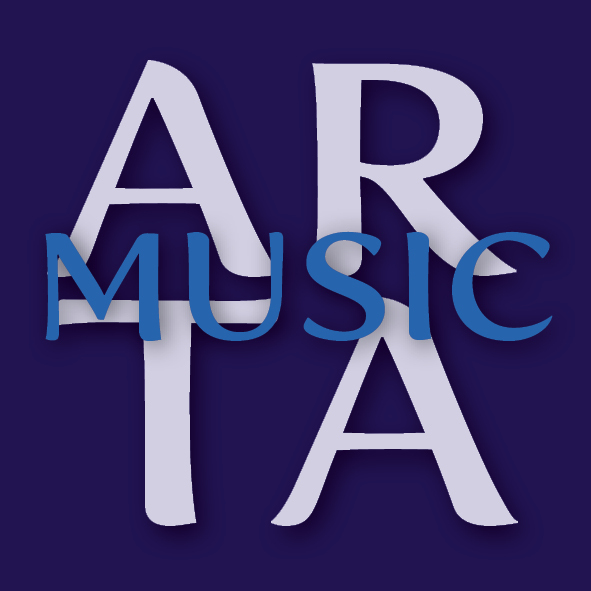 ‘Vignette’ launched the album Tales of Another in 1977 and marked a first coming together of what would later be Jarrett’s influential ‘Standards’ trio. ‘Requiem’, played by Peacock with Masubumi Kikuchi in Japan in 1970, was recorded for ECM with Jan Garbarek and Palle Mikkelborg in 1987 (on Guamba) and with Marilyn Crispell in 2000 (on Amaryllis), and ‘Gaia’ was previously recorded with Ralph Towner in 1993 (on Oracle). The trio with Marc Copland and Joey Baron revisits these classic Peacock tunes and, in the tradition of all the best jazz, makes them new. Marc Copland (born 1948 in Philadelphia) and Gary Peacock have been in and out of each other’s groups for around thirty years, playing in many configurations including duo. Now This is their first collaborative work for ECM. It’s Copland’s second appearance on the label (following 39 Steps with John Abercrombie’s quartet, also including Joey Baron). Like the bassist, Copland is thoroughly committed to playing in the moment. “Taking chances is the essence of playing,” he has said, “This is something I always felt, and when I started playing with Gary Peacock, I knew I’d met a musical soul who believed this as much as I did.” Copland’s composition here, “Noh Blues” is an intriguing piece, its blues framework stretched to accommodate adventurous soloing and interplay. 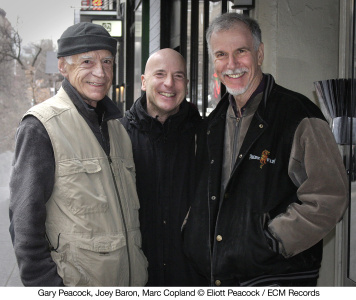 Joey Baron (born 1955 in Richmond, Virginia) has been a regular contributor to music on ECM since 1987 when he appeared on Bill Frisell’s Lookout for Hope. One of the great contemporary drummers, he plays on the John Abercrombie albums Cat’n’Mouse (2000), Class Trip (2003), The Third Quartet (2006), Wait Till You See Her (2008), Without A Song (2011) and 39 Steps (2013). He can also be heard with Steve Kuhn on Remembering Tomorrow, Mostly Coltrane and Wisteria, and with Marc Johnson on Shades of Jade and Swept Away. He has also toured and recorded very extensively with John Zorn (more than 50 albums) and played with numerous jazz greats including Dizzy Gillespie, Carmen McRae, Lee Konitz and many more. With Tim Berne and Hank Roberts he co-led the group Miniature, and he has also directed his own groups Killer Joey and Baron Down. Now This was recorded at Oslo’s Rainbow Studio in July 2014, and produced by Manfred Eicher.